California's unusual voting system is creating predicaments for both parties. WASHINGTON — Will the Democratic Party's road to retaking the House hit a traffic jam of their own candidates' making? Can endangered Republicans live to fight another day in the country's most populous state? We'll find out Tuesday when Californians head to the polls for their state's crucial "jungle primary," in which candidates from all parties duke it out for two slots on the general election ballot in November. The unique system, which has only been in use since 2012, is creating unusual predicaments for both parties. And in a state home to one-in-eight Americans, and with an economy bigger than the United Kingdom's, the results will reverberate far beyond the West Coast. Still, political observers may have to have exercise patience when it comes to some close races, since it has taken days or even weeks for the state to count absentee ballots in the past, since mail-in ballot are accepted after Election Day. Here are three things to watch for Tuesday night. Both parties will be closely watching a handful of congressional districts in Southern California. The Orange County districts have been held by Republicans for years, but Democrats believe their path back to power in the House runs through the former conservative stronghold, which Hillary Clinton became the first Democrat to win since the Great Depression. The problem: An overabundance of Democratic candidates risks splitting the vote in the jungle primary and costing their party a chance to compete in some of their best pickup opportunities in the nation. Democrats have been scrambling to avoid a shutout, first by trying to push candidates out of the race. Then, when that largely failed, they began urging left-leaning voters to coalesce around one candidate in each district. The party has spent at least $6 million on the effort, an extraordinary sum of money that underscores both their concern and the value they place on these districts. But if they succeed, Democrats say it will be worth it. "The DCCC is proud to have invested in and opened up new territory for California Democrats" ahead of Tuesday's primary, said Meredith Kelly, a spokesperson for the Democratic Congressional Campaign Committee. The biggest concern for Democrats has been the 48th Congressional District, where Rep. Dana Rohrabacher, R-Calif., is facing his toughest re-election challenge after decades in the House. Rohrabacher is expected to finish first, but a Republican challenger, former Orange County GOP Chair Scott Baugh, could come in second. National Democrats initially backed Hans Keirstead, a genetic scientist, but are now strongly supporting businessman Harley Rouda. In the 39th Congressional District, the retirement of Rep. Ed Royce, R-Calif., scrambled the field. Democrats are split between lottery winner Gil Cisneros, who is backed by the DCCC, and Andy Thorburn, a millionaire running from the Bernie Sanders wing of the party. Finally, in the 49th Congressional District, Democrats cheered after Rep. Darrell Issa, R-Calif., announced he would not run for re-election, then panicked — at least six candidates jumped into the race. Still, thanks to strong Democratic enthusiasm, party officials are less concerned about a lockout there. Higher up the ballot, Republicans are the ones just hoping to make it to November. 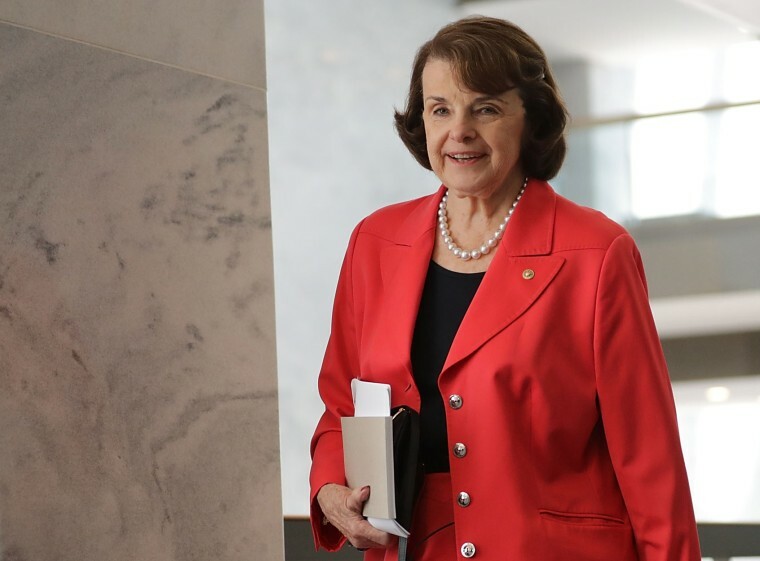 Sen. Dianne Feinstein, D-Calif., who is about to turn 85, has a fight on her left flank from a fellow Democrat, former state Senate President Kevin de León, but her Republican opponents are mostly unknown and underfunded. Republicans are thought to have a better chance in the governor's race, where businessman John Cox could sneak through while two big-name Democrats — Lt. Gov. Gavin Newsom and former Los Angeles Mayor Antonio Villaraigosa — spend millions hammering each other. If a Republican does end up finishing second in either race Tuesday (no one expects them to have a shot at the top spot), they will face an uphill battle in the general election. But the GOP faces the very real threat of ending up with no candidates for governor or Senate in the general election after Tuesday night. Two Democrats faced off in the general election in the last California Senate race — Sen. Kamala Harris, D-Calif., beat former Rep. Loretta Sanchez, D-Calif., in 2016 — and that may happen again this year. De León has yet to prove he’s a real threat to Feinstein, despite her age and opposition from some on the left. But a strong showing Tuesday could give him a shot of adrenaline. And if nothing else, he appears to have succeeded in pulling Feinstein to the left on several key issues, and could continue to extract policy concessions through November. In the governor's race, Newsom is openly rooting for Cox to beat Villaraigosa Tuesday, predicting an easy battle against a Republican in the general. But if Villaraigosa makes it through, the heavyweight bought between the two former mayors (Newsom lead San Francisco for three terms) will continue.